Almost immediately after I left for university, my parents began the process of moving to Munich, where Dad was starting a new job. By this week in 1985, he was already living in Germany, so I made my first trip to see how he was getting on. Then – as now – I was a fan of the Olympic Games, and more than anything else I wanted to visit Munich’s iconic Olympiapark, with its sweeping, transparent canopies and miles of exposed metal ropes. The park was as memorable as I expected, but the atmosphere of the place was also suffused with the aftermath of what had become known as the Munich Massacre. 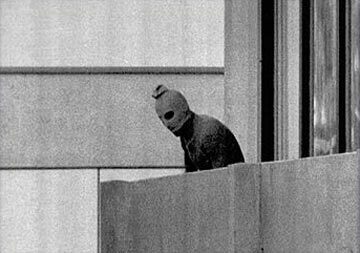 On September 5th 1972, eleven days into a sporting spectacle which the Germans had subtitled, ‘the Happy Games,’ eight Palestinians belonging to the Black September movement broke into the Olympic village – just a stone’s throw from the Olympiapark – and took hostage nine Israeli athletes, coaches and officials. They immediately demanded the release of 234 prisoners held in Israeli jails plus the founders of the German Red Army Faction, Andreas Baader and Ulrike Meinhof. There followed a stalemate over some 18 hours in which events in the village were relayed live around the world – at one point even alerting the kidnappers, who were watching too, to the fact that a police rescue attempt was under way. After a series of failed negotiations and offers from the German authorities, the Palestinians and their hostages were transferred by helicopter to the military base at nearby Fürstenfeldbruck, where they had asked for a plane to take them to Cairo. The Germans hastily planned a further armed assault involving snipers and a fake plane crew, coordinated via the airport’s control tower. The rescue was a disaster. The police had underestimated the number of Palestinians based on earlier reports and found themselves short of snipers, the disguised plane crew decided at the last minute to abandon their mission, and the kidnappers realised almost immediately that an attack was planned. After a chaotic gun battle and a grenade explosion in one of the helicopters, all the hostages and five of the eight militants were dead. We just got the final word … you know, when I was a kid, my father used to say, ‘Our greatest hopes and our worst fears are seldom realized.’ Our worst fears have been realized tonight. They’ve now said that there were eleven hostages. Two were killed in their rooms yesterday morning, nine were killed at the airport tonight. They’re all gone. The three surviving kidnappers were imprisoned pending trial, but released a few weeks later in exchange for the passengers of a hijacked Lufthansa jet – events which many have claimed were staged. Steven Spielberg’s 2005 film, Munich, tells the story of the Israeli reaction to the massacre, Operation Wrath of God, which targeted members of both Black September and the PLO – including those believed to be involved in the events in Munich. Only one of the attackers – Jamal Al-Gashey – is still believed to be alive, living in hiding somewhere in Africa. 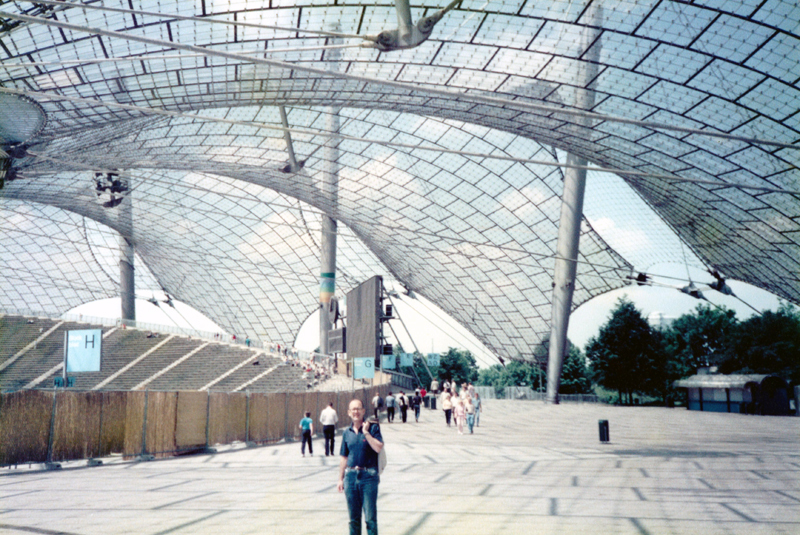 My visit to the Olympiapark in 1985 proved to be the first of many, but the stunning architecture and wonderful setting have always felt tarnished by the events of thirteen years earlier – events which originate in a conflict which sadly shows no sign of coming to a definitive end. This entry was posted in History, Media, Sport, TV and tagged 1972 Summer Olympics, Black September, Germany, history, International Olympic Committee, Jim McKay, kidnapping, Munich, Munich massacre, Olympic Games, Olympics, PLO, sport, terrorism on June 23, 2013 by followthehumming.